In the future, for example, a developer could be able to add a Messenger button within a movie ticketing service app, so after a customer makes a purchase, they could share those details and movie times with a friend on Facebook. For a glimpse at how the first batch of apps will look, click here. 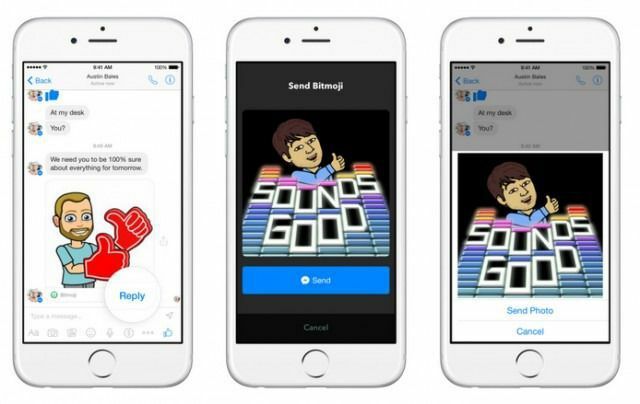 Many of the early partners working with Facebook Messenger are focused on photos and entertainment. Some apps were developed specifically for the platform, while others are building Messenger in as an added feature. 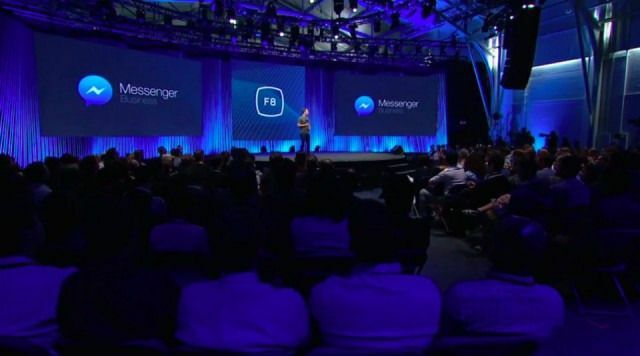 Facebook unveils Messenger for Business at its F8 conference in San Francisco on March 25, 2015. A noteworthy feature of the growing platform is Messenger Business, which will allow users to communicate with merchants by sending them a direct message or making a reservation and checking shipping information. People will be able to have personal conversations with companies — specifically, customer service representatives — and be able to make requests, asks questions and get quick responses in an ongoing thread, the company said. Facebook spent some stage time talking about the future of video on the site. 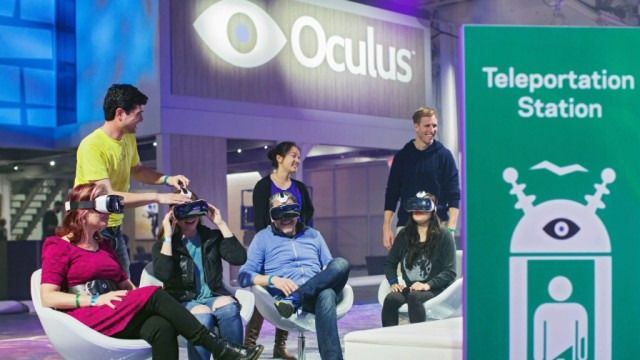 To start, the social network will soon support “spherical videos” — immersive, 360-degree videos that work right in Newsfeed. The videos will run natively in Newsfeed and will be shot with 24 high-resolution cameras. Facebook is rolling out a new social plugin that lets publishers embed native Facebook videos across the web. This means a video uploaded (and hosted) on Facebook can now be embedded on other websites. Although you’d think Facebook’s video player would already have the ability to embed videos on other sites, the move is now a part of a larger effort to catch up with YouTube. Facebook also pushed out another social plugin update to its Comments feature. Users will be able to log into their accounts and comment on a webpage, but now the message will be duplicated on the official Facebook-shared story, too. The company introduced a new Analytics for Apps tool that provides a dashboard of data so developers and marketers can better understand their audience. Facebook introduced a software developer kit (SDK) to support the growing influx of web-connected devices for the home, like smart garage door openers and refrigerators. The company will be opening its mobile app building suite, Parse, to web-connected devices to support the Internet of Things. The Internet of Things refers to products — and, well, things — that are connected to the web. This includes everything from smart thermostats and garage doors to toothbrushes, tennis racquets and even your bed. They collect data about your usage patterns and habits, and typically connect to an app that offers feedback to improve your lifestyle (or your racquet swing, for example). It’s unclear as of now how exactly Facebook will incorporate Internet of Things technology into its platform, but perhaps dimming the lights at night or opening your garage door could one day all be possible from directly within the social network.